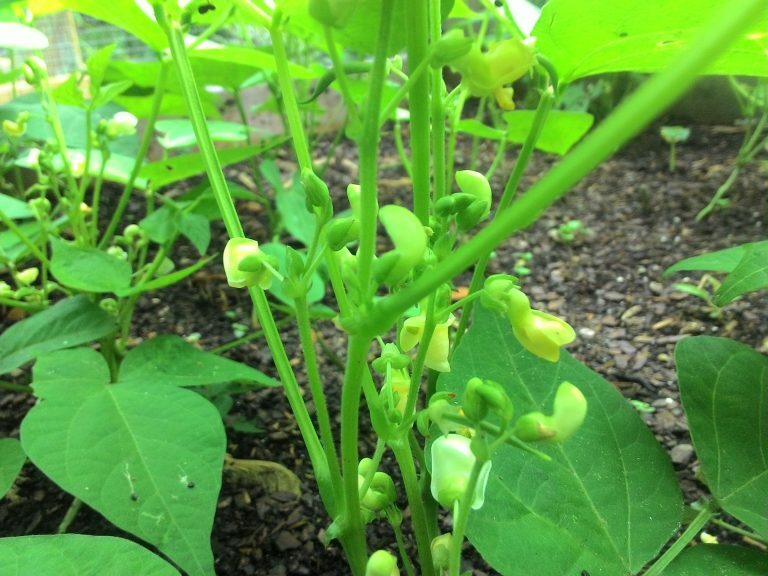 Our Blue Lake bush beans were planted on April 14, 2018. They started germinating on May 2, 2018 (18 days to germinate). 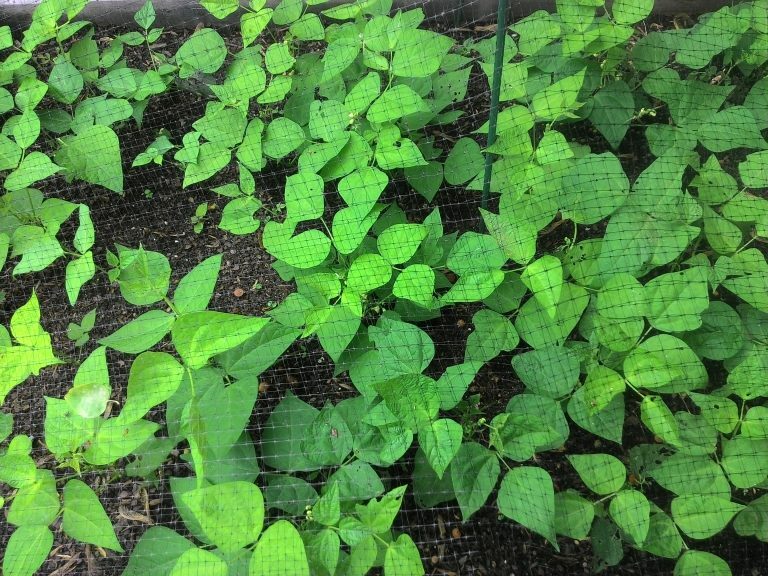 After several frosts, some of the plant beans germinated with issues. Some of the plants had no leaves, but others look like they deserved a chance. Some very damaged plants were removed and new seeds were planted. Today they have flowers, and some plants have tiny pods.